TCC Property Management has been in operation since October 2010, and as of January 2013 we have 40 homes under management in Loreto Bay and Loreto. If requested, we are happy to provide a list of referrals of happy homeowner clients. All of our services are dependable, thorough, meticulous, and competitively priced. We inspect all of our managed homes every single week, with a very specific list of inspection items... we KNOW what to look for to protect your investment. Our Landscape Maintenance is world class. Our fumigation service is organic, toxin free, and super effective. Many more services, just ask! For rentals of your property, you do the marketing to find renters (VRBO & other marketing websites) and we do the rest... simple for you, and under our rental management you receive 100% of the revenue generated on your rentals. 100%!!! No one else does that. We just charge for house cleaning and time for any special time we spend on your behalf. We welcome your renters with keys and an information package, we introduce them to your house, we will pick them up at the airport if requested, and we make sure any special requirements are met before they arrive. During their stay, we are available 24/7 to answer questions or take care of any concerns. When your renter departs, we clean the house, launder bedding, and inspect carefully for any damage or missing items. This is just a brief description of our services, there is much more to tell if you inquire. 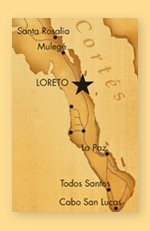 We are still a relatively small company, but we feel confident in stating that we are the premier Property Management company in Loreto delivering solid value for reliable, stress free service. None yet. Please tell us what you think in the comments. It would really help the community if you can include links, feedback, and tips. Just tell us in the comments below! Maintenance & Repairs: We also own Doyle Construction & Design… all of our maintenance and repairs are done by 1st rate professionals, and our costs are surprisingly aggressive delivering very low pricing to our clients… no one can touch us for quality, value, and dependability. Please call or send us an e-mail any time… you will receive an speedy response to any inquiry.